Presenting: Awbury’s 2019 article series on natural fibers! Click here to learn more about this year’s theme. Articles written by La Salle student and Awbury intern Dan Sardaro. As the month of January came and went, we first learned about flax, a plant used by so many of us in our homes in the form of linen. 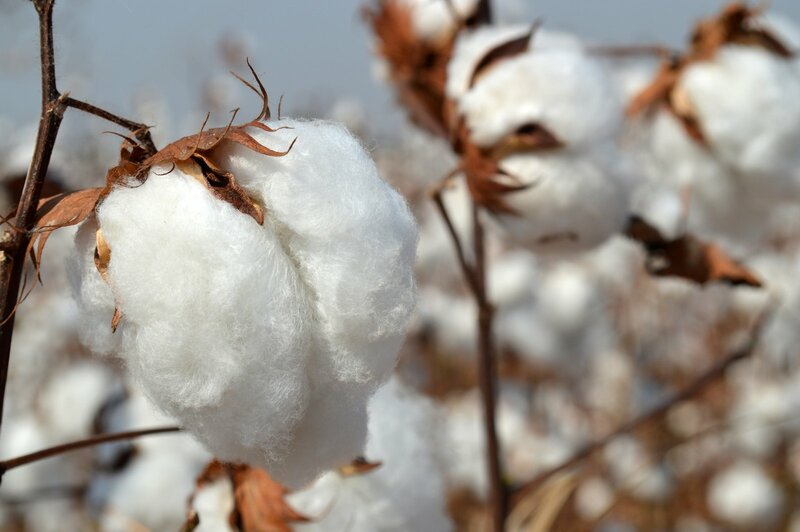 Now, as the new month of February graces us with its presence, a month that pays homage to the rich and continuous African American history of our nation, we look at another natural fiber – cotton. Cotton dates back millennia to the earliest of peoples, and it obviously is still extensively used today. It is widely known that the industry surrounding cotton has a tainted past. Here in the United States, the relationship between the cash crop and the enslaved Africans who worked tirelessly for centuries to grow it is a painful topic. However, we feel that learning about the historically significant lineage of the plant can lead to a better understanding of its cultural and social impacts on those who were a part of the cotton story. We’ll start with cotton’s beginnings. No one quite knows exactly how old cotton is, but scientists date the original use of the plant back to roughly 6,000 B.C. in India and Pakistan. Later came the full cultivation of the plant in the Indus Delta, an area where the Indus River dumps its headwaters into the Arabian Sea. From the delta, cotton spread to Egypt, Mesopotamia, and Nubia, but it wasn’t until the 1st century when cotton was introduced to Europe – Italy and Spain were the first to see this new fiber brought to them by Arab traders. Slowly, cotton spread throughout the other countries in Europe, reaching the northern regions by the late medieval ages. With its spread came technological advances such as the spinning machine in 1738 and the cotton gin in 1793, each helping to create an enormous cash crop industry that would form the backbone of many economies across the globe. There is little denying that the monetization of a small fibrous plant led to one of the cruelest periods in American history. However, one item that cotton helped produce may have acted as a welcomed sight to escaped slaves traversing north on the Underground Railroad. Quilts, stitched together in multicolored patterns and hung outside the homes of those along the railroad’s path, may have helped guide ex-slaves on their long journey. The idea that these colorful quilts directed slaves is still up for debate by historians today, but the patterns displayed could have served as a covert language that foretold of various things ahead, such as an important landmark or a dangerous town. Still curious about the history surrounding these centuries-old quilts? On Saturday, February 23rd, Awbury is hosting Sharon Tindall, an advocate and educator of African history. 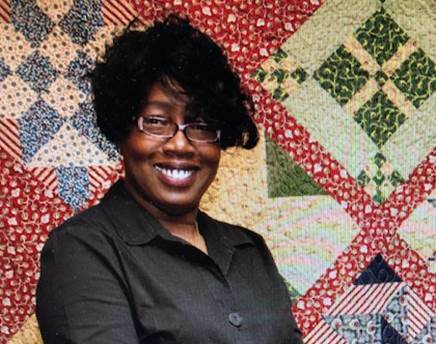 Tindall has spent years researching the origins of the quilts that may have had a large impact in the lives of so many African Americans, and she is sharing her knowledge and passion with the public. We encourage you to come learn more! Click here for more information. Gates, Henry Louis. “The Role Cotton Played in the 1800s Economy.” PBS, Public Broadcasting Service, 19 Sept. 2013, www.pbs.org/wnet/african-americans-many-rivers-to-cross/history/why-was-cotton-king/. “The History of Cotton Production.” Organic Cotton – Requirements of the Cotton Plant, www.organiccotton.org/oc/Cotton-general/World-market/History-of-cotton.php.